Etisalat is at it again to get more customers to their network. Now, they're here with another one time offer hashtagged #SuperBonusOffer, which gives you a whooping N1,400 airtime when you recharge your Etisalat line with just N200. As you can see from the lines above, this awoof Airtime is only for the new Etisalat subscribers. Even as an old Etisalat customer, you too can still enjoy this #SuperBonusOffer offer from Etisalat. All you have to do is get a new Etisalat SIM, register it and recharge your line with atleast N200, then you will be credited with your bonus Airtime. 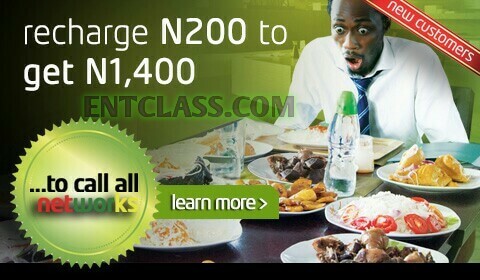 NOTE: This offer is a one time offer for new Etisalat subscribers. Have it in mind that MTN Double data bonus is still working fine. It allows you get double of the data you purchased from MTN. This is currently the best tweak to enjoy big data from MTN with just little cash. Etisalat super bonus airtime. Get N1,400 with just N200 on Etisalat super bonus offer. You don't mean it? What's the cheat part all about? I can't believe it... I bought 1GB DATA FOR JUST #500 ON ETISALAT, GREAT DEAL THINGS!!! Admin plz help me out here which free browsing cheat is recommended for pc at the moment? Currently, there's no reliable one at the moment. Always visit this blog cos new cheats will be posted soon. Interesting, no new offers for old sim?